Historically, blood tests in secondary care were requested for defined indications and only after a detailed clinical history and examination of the patient. Like modern day imaging requests, every investigation required justification. In the 21st century, the technological evolution of healthcare has changed this dynamic. Blood analysers are now capable of processing thousands of samples every day at a fraction of their former cost, rendering careful consideration of indications a thing of the past. The potential workload of laboratories has become the expected workload, and “routine bloods” has entered the lexicon of modern day clinical practice. Studies have shown that the NHS is a comparatively efficient healthcare system by international standards. [1, 2] The UK spends less per capita on laboratory tests than other economically developed nations, with fewer errors in laboratory reporting. Growing evidence, however, shows the extent of unwarranted variation in spending by NHS acute hospitals. [3, 4] Overuse of blood tests might be an important source of this variation. Figures from the Department of Health for England show that over 230 million biochemistry and 47 million haematology investigations were requested in 2014-15 at an estimated cost of over £415m in secondary care, with some estimates of up to £3bn for the NHS as a whole. These represent substantial potential savings, given that around two thirds of NHS provider trusts reported financial deficits in 2015-16 and an estimated total NHS deficit of £1.85bn. We think that the waste associated with the practice of “routine bloods” is damaging for clinicians, finance managers, and patients. Blood tests are undoubtedly important diagnostic tools, central to guiding the investigation and management of many acute and chronic conditions. In many emergency and acute medical departments, however, requesting a standard battery of blood tests without due regard to clinical indication has become the norm—with no distinction made between patients with a variety of presenting complaints, from chest pain to fractures. Ordering the “full house” of full blood count, urea and electrolytes, liver function tests, and C reactive protein might be acting as a psychological comfort blanket for clinicians, masking an over-reliance on investigations or a lack of confidence in clinical judgment. Departments of surgery are not immune to wasteful practice. A retrospective cross sectional study found that an orthopaedic department requested a total of 895 liver function tests and 307 clotting studies for 216 acute trauma patients over a one month period. A large discrepancy between the frequency of requests and clinical indication was observed: only four of these patients had a documented history of liver disease, and only 10 patients were on regular anticoagulant medication. A literature review of preoperative laboratory investigations in patients having elective surgery found that routine tests rarely influenced anaesthetic management, produced many false or borderline results, and placed an unnecessary financial burden on the system through the onerous processing of redundant tests or the postponement of surgery. The transformation of blood tests from enlightening diagnostic tools to “because we can” tasks is built on availability, which has helped cement a culture of clinical overinvestigation. Ordering unnecessary tests is driven by the fear of missing important clinical details and the potential for subsequent litigation. We therefore need to change the underpinning psyche of traditional clinical decision making from “can this test give me more information?” to “will the result of this test change the management of my patient?” This would be a pragmatic approach to minimising waste while maintaining high quality clinical care and might support system-wide efforts to agree best practice for ordering tests in diverse clinical contexts. The literature on “too much medicine” has developed over the past three decades and finds its modern home in the Choosing Wisely and overdiagnosis movements, which promulgate the principles of value based healthcare. In Scotland, Catherine Calderwood’s “Realistic Medicine” initiative outlines a strategic framework to reduce unnecessary variation and waste while improving the quality and safety of care. When it comes to ordering laboratory tests, there should be nothing “routine” about decision making that can affect both patient care and NHS finances. As clinicians, we have a duty to lead culture change as effective stewards of clinical resources, who are capable of playing an active part in the long term sustainability of our health service. In the current political and economic climate, the stakes could not be higher. 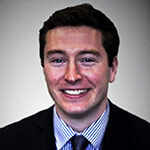 Alastair Faulkner is an orthopaedic trainee at Ninewells Hospital, Dundee. 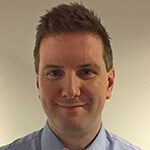 Mike Reidy is a ST8 in trauma and orthopaedics in NHS Tayside and a Scottish clinical leadership fellow. 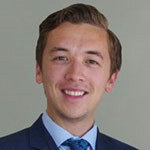 James McGowan is a public health specialty registrar in the East of England deanery and a NIHR academic clinical fellow at the University of Cambridge. David Gilbert: What’s stopping healthcare organisations appointing a patient director?